It had to be done… California had no major synthesizer festival. So, rather than continue to talk about it, dream about it and plan it for another few years, we did something about it! We created Synthplex™ and we are thrilled to bring to Los Angeles/ Burbank/ Hollywood a “synthapalooza” of a festival that is truly, all-things-synthesizer. When it comes to the full spectrum of synthesizer gear on display, we’ve got you covered with; Hardware synthesizers, Software synthesizers, Modular synthesizers (5U, Buchla, Eurorack and Serge), Sequencers, Drum machines, Control surfaces, Keyboard controllers, Electric pianos and organs, Outboard studio gear, DAW’s, Monitors, Headphones, Audio Interfaces, Keyboard accessories, DIY Euro rack gear, effects pedals and Visual FX modules for Eurorack. And a lot of our manufacturers and distributors will be selling gear at special show prices! Besides a ton of gear, we will also have great seminars for you to attend, live music, a Pop-up Synth museum that will benefit a new charity each year, DIY synth-build workshops and a Saturday night dinner banquet with a key note speaker & a live performance. Synthplex™ LLC is owned & operated by entrepreneurs and synth enthusiasts; Michael Learmouth and Michael Lehmann Boddicker. Both Michael’s are life-long electronic music and synthesizer fanatics and Michael Lehmann Boddicker is a legendary Grammy award winning synthesist, producer, song-writer and studio owner. Michael Learmouth is a life-long electronic musician and producer who uses both vintage and modern synths on his various music projects. 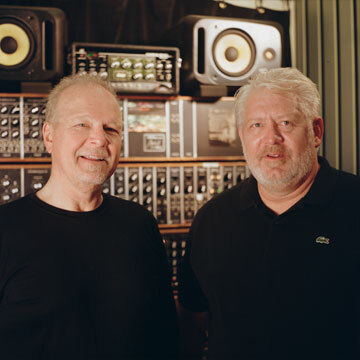 The launch of Synthplex™ is a culmination of years of careful planning and consulting with industry friends, and the two Michael’s are 100% committed to bringing forward the finest synthesizer convention and festival to Los Angeles/ Burbank. At Synthplex™ we believe it is critical that we all work hard to continue the further education of our younger generations when it comes to music and especially electronic/ synth music. 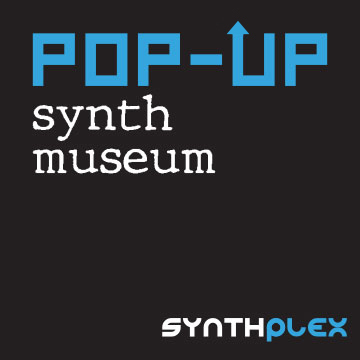 For that reason we have pledged to start an annual fund-raising event called the Synthplex™ Pop-Up Synth Museum, and through this museum we will donate the profits to various music schools and music programs that are dedicated to electronic and synthesizer music in particular. Each year we are committed to supporting music education, and this year we are supporting the Children's Music Fund with the profits from our Pop-up Synth Museum, where we will have some incredible instruments where visitors can get hands on with these rare instruments.